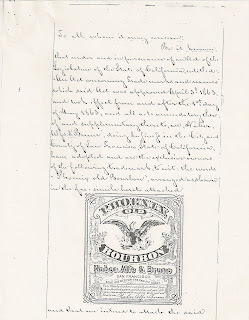 Here is a copy of the trade mark awarded to Naber, Alfs & Brune for Phoenix Old Bourbon. 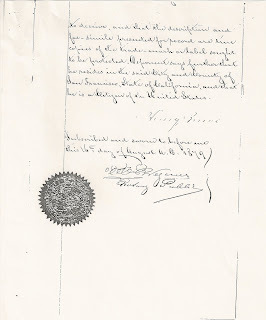 Awarded on Aug. 16th, 1879. 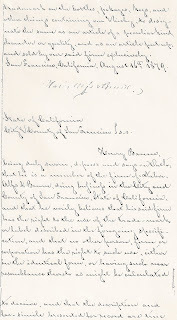 Check out an earlier post on the "Phoenix display" seen on a steroview taken in San Francisco in 1879. Probably paper label only early on, embossed fifths came along shortly. 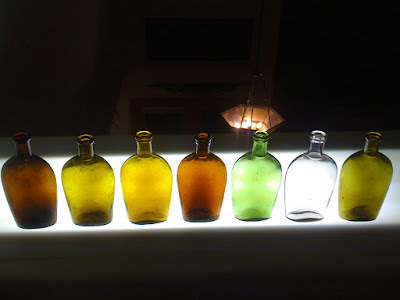 Many different Phoenix fifths and flasks have been located. 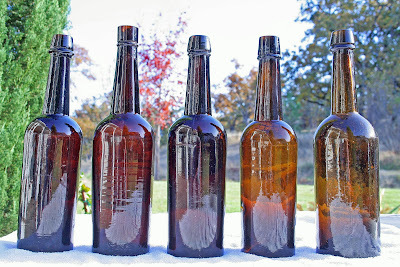 Collectors of "Phoenix" material (bottles) have a lot of items to look for, and most? are affordable. 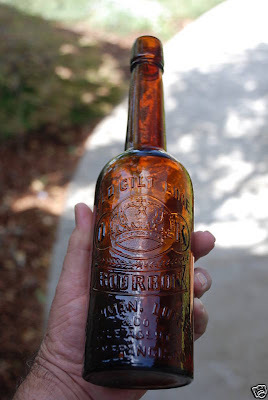 Advertising items for Phoenix Old Bourbon are very rare. 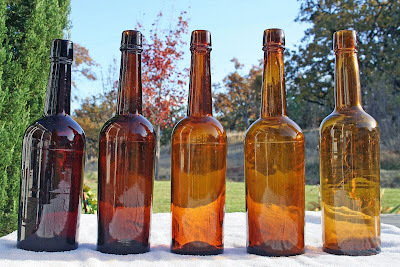 The early fifth varieties (1880-1885) come with both applied and tool tops. All of the flask varieties are tool tops I believe. Those pretty little pints and half pints like the one Andrew just found seem to be a bit later than the first fifths. Probably late 1880's to mid 1890's. We moved to Southern Oregon, just out of San Jose State, back in 1975. 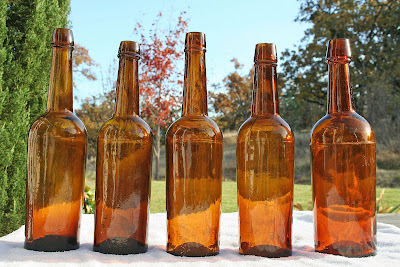 We immediately set out to meet fellow bottle collectors in the area and became acquainted with the members of what was then the "Gold Diggers Bottle Club". 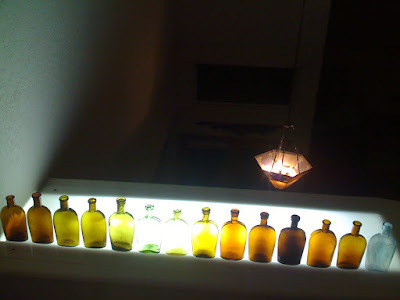 One particular gentleman was a western whiskey aficionado and when the club meeting was held at his place a couple of months later, I got the opportunity to view his collection. 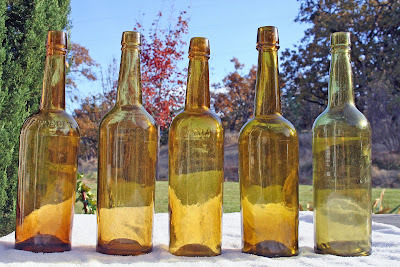 The club eventually evolved into the Siskiyou Antique Bottle Collectors Association and remained intact over the next few years but slowly fizzled as folks moved away, died or lost interest. By the mid eighties, it was a thing of the past. We stayed in touch with a few of the members of the club over time, including the "whisky man". Over the course of the next thirty some years I mailed an annual Christmas card and touched base with him once every year or two. Don't forget, I'd remind him, I'm still interested in buying you out whenever the time is right. And the answer was always the same, NO. A week after I mailed the letter, the phone rang. It was the "whisky man" and the time was right. Bring the truck, he said, you'll need it! He was right! Two trips later he had the cash (lots of it) and I had the whiskies (lots of them). Forty years of cigarette smoke and dust and more cigarette smoke can change the complexion of glass in a big way and the fun was just beginning. 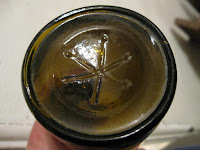 My witches brew made up of this stuff called "awesome" combined with alcohol and ammonia did the trick and the decades old layer of grime fairly slid off the glass. Amber became old amber, old amber turned to green. Even a blind hog finds an acorn now and then. This time, I found my share. Crudity was the order of the day and the colors were the icing on the cake, as were the myriad of base marks. Every color of the rainbow was represented. Here's a few examples of the different base marks. Here's the N.B. 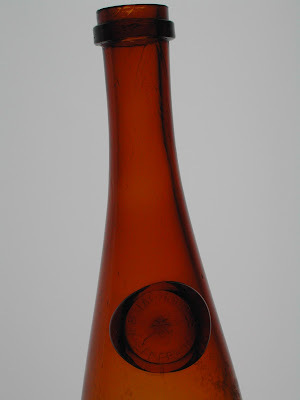 Jacobs hock wine style bottle that John O'Neill mentioned in his comment on the post "The Many Stars of the Pacific Glass Works" by Andrew. 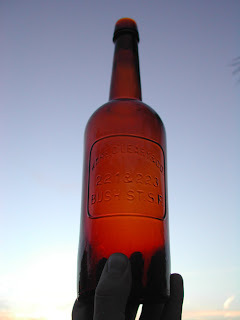 Both Warren Friedrich & aphotaling lean towards this bottle being blown in the east, however the star on this Jacobs bottle sure looks a lot like the star in picture # 5 in Andrew's post. Warren also mentions that this star is identical to the star on the W.S. 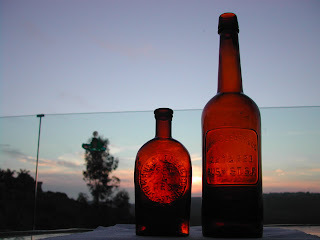 Wright soda that is believed to be from the 1863 time period and attributed to the Pacific Glass Works. 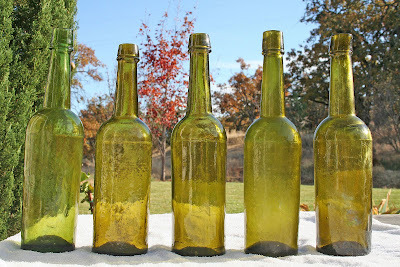 So.... Is the Jacobs hock style wine Western or are some of the bottles pictured in Andrew's post eastern? I was lucky enough to dig this applied top 1/2 pint example of the Kane, O'Leary flask from an oval-shaped, brick lined outhouse. 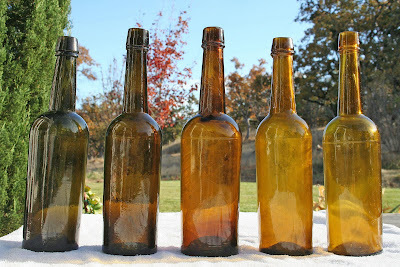 The flask was unearthed in Northern California during the Spring of 2009. Here is a photo of the flask after an evening bath. 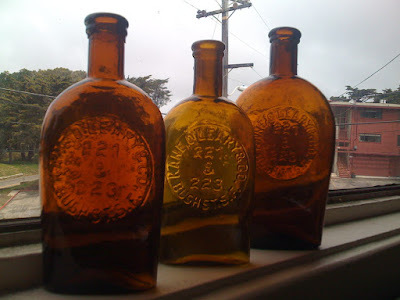 To my knowledge, these are the three most recently discovered examples of the Kane, O'Leary & Co. Flasks. From Left to Right: Tooled-top 1/2 pint in Yellow, Applied Top pint in Amber, 1/2 pint in Reddish-Amber. 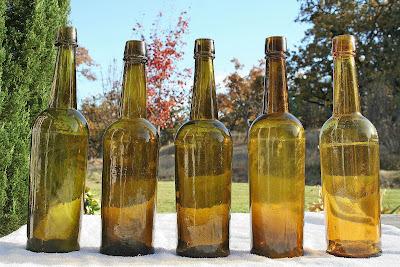 Each were found within the last couple of years, from different locations. And just how many years had passed until these fairly recent examples surfaced? 5 years? 10?? 25??? 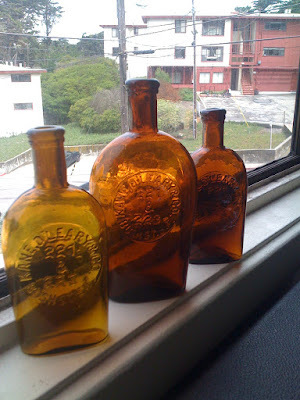 For quite some time now I have been collecting the EARLY unembossed cylinder of the San Francisco glass houses made in the 1860s. 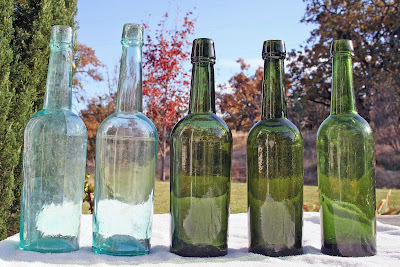 These earlier 5ths and 6ths differ slightly than your average 1870s or 80s examples and often have crude large tops, flat bases, and swirled glass. Below are fifteen Pacific Glass Works, then later SFPGW, stars that show up on some of the cylinders from the early 60's to the mid 80's (although there are likely more than these). Below are photos of the stars ranging from oldest first and newest last (in my opinion). Here's a couple of pictures of the T167B Old Gilt Edge that you mentioned in your post. Sure is a sweet looking fifth! 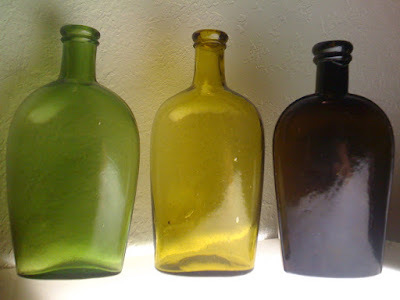 Colored Knife-edge Pint Flasks (all have Applied-tops with the exception of the clear-amethyst colored one which has a Tooled-top). 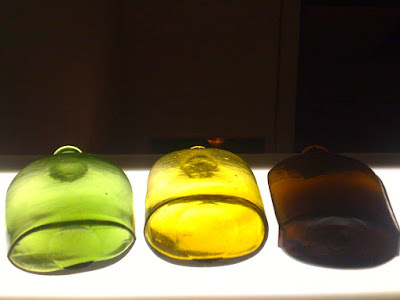 Applied-top Pint Flasks, pictured Left to Right: Knife-Edge in Green, Union Oval in Yellow, Strap-side in Dark Amber. 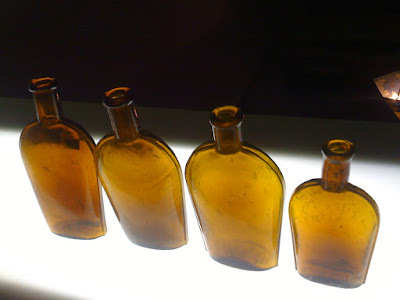 Slick flasks on front & back, embossed: "E. Martin & Co. on base." Left to Right: AT Pint, AT Pint, TT Pint, Trans. TT 1/2Pint.